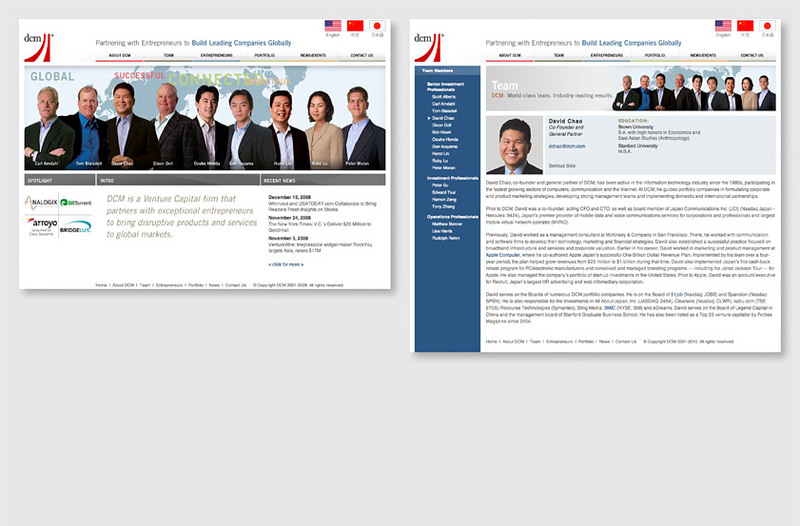 DCM is a leading Silicon Valley venture capital firm with significant investments in Asia and throughout the world. 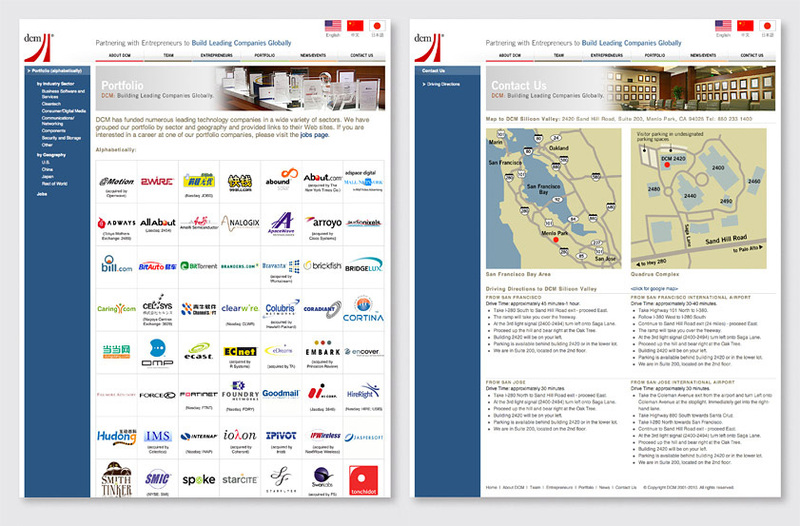 With offices in the Silicon Valley, Beijing and Tokyo, DCM is differentiated by the strength of its international team. Our solution presents each partner on the homepage, enabling viewers to click on a partner and jump directly to their bio. The background behind the DCM Team conveys the firm’s international focus and ongoing commitment to providing value as a successful, experienced, global, and connected partner for entrepreneurs in building leading companies globally. The site employs a clear, concise presentation of information. An entire section is devoted to Entrepreneurs, DCM’s target audience for providing access to the most innovative and promising new companies. The header for each section uses an evocative vignetted image as a metaphor for the transformative technologies in which DCM invests. The unique, muted color palette enables DCM’s signature red to stand out while providing a sense of elegance and sophistication to the site.